Ridley Scott is a man who knows how to direct a film. I have seen almost all of the movies that he has directed, and I have never been disappointed in his work. Sure, there have been a few movies of his that I did not enjoy as much as the others, but he has always done an outstanding job as a director. I could list off his resume to prove my point, but his work speaks for itself. His movies are always of the highest quality that they can be. If you have seen his movies, then you know what I’m talking about. Knowing what I know about Ridley Scott’s films, I knew that I would have to see his latest movie, The Counselor. 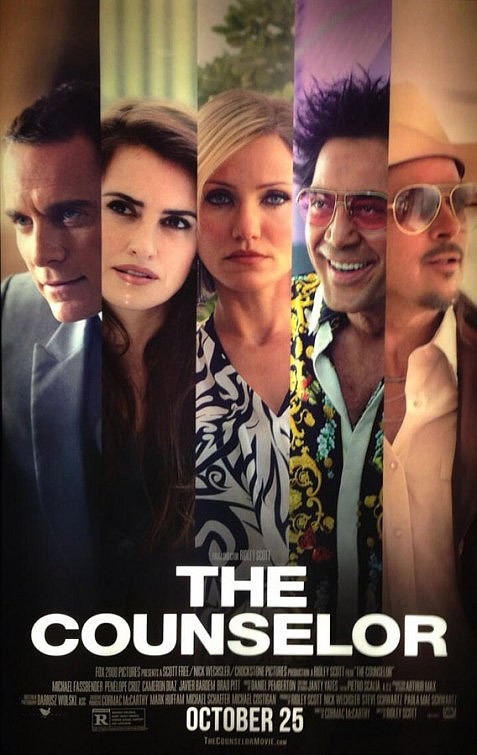 Like most of Scott’s other films, The Counselor has a stellar cast. What do you usually get when you cross a highly gifted director with a bunch of talented actors? The answer is a powerful movie. 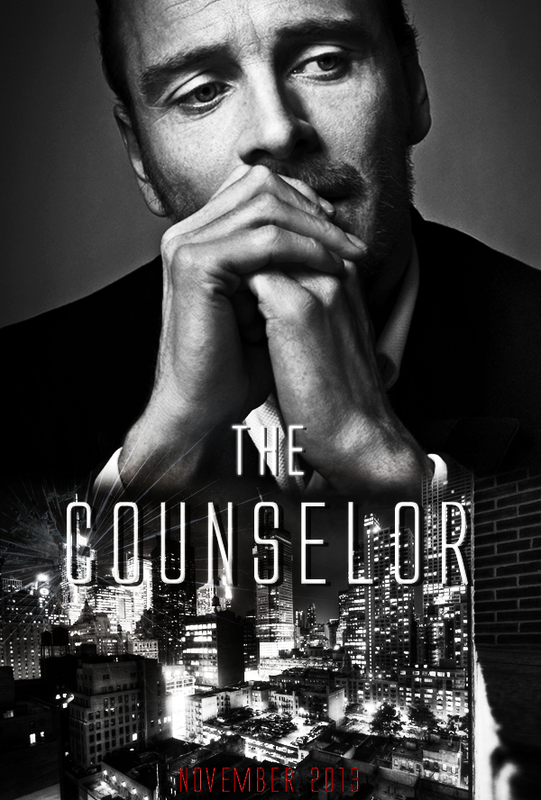 The Counselor is about a lawyer (Michael Fassbender) who turns his life upside down when he becomes involved in drug trafficking. 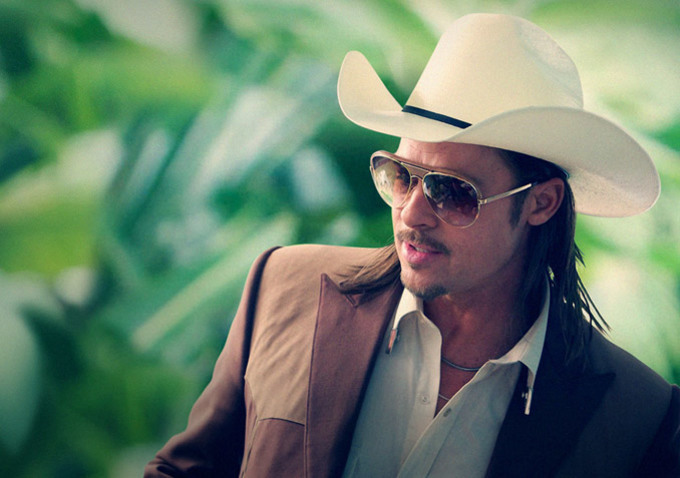 The film was written by Cormac McCarthy and the rest of the noteworthy cast includes Javier Bardem, Penelope Cruz, Cameron Diaz, Brad Pitt, Bruno Ganz, Rosie Perez, Sam Spruell, Velibor Topic, Dean Norris, and John Leguizamo. I did not know quite what to expect before watching this movie. I knew it was not going to be a happy-go-lucky film because it is about drug trafficking and living on the edge, but it had to be entertaining. Surprisingly, the film was a little slow, at times. It was also a little hard to follow until things became clearer in the middle of the movie. I think this was because the film started in the middle of a story, rather than telling the story from the beginning. Little by little, you figure out exactly what is going on, but it takes its time getting there while it jumps around. With all of that being said, it took me some time to get into the story. The scenery in the movie was flashy and beautiful. There was a lot of money floating around in the film and this was made very obvious with all of the expensive sports cars and elegant mansions. It was a great depiction of an extravagant lifestyle gone awry because of a few very bad decisions. In fact, that seemed to be the overall theme of the movie. Bad choices will come back to haunt you. If you live on the edge for too long, eventually you are bound to fall off. The Counselor had a lot of great and unique characters. They were made great by the exceptional actors portraying them. They were made unique by how they were portrayed. Each of the five main characters looked like they came out of a dark comic book or video game about how drug trafficking can be dangerous. Whether it was the hair, the make-up, or the clothing, they were certainly a bunch of characters. The movie was in-your-face. It was oozing with sexuality, violence, harsh language, and disturbing images. All of this was done with originality. There were times when the movie was hard to like, but because of how well-made it was, overall, the film was hard not to like. I credit Ridley Scott for taking a hard to enjoy tale and making it likable. The actors were the icing on Scott’s cake, but he chose the flavor and the taste. 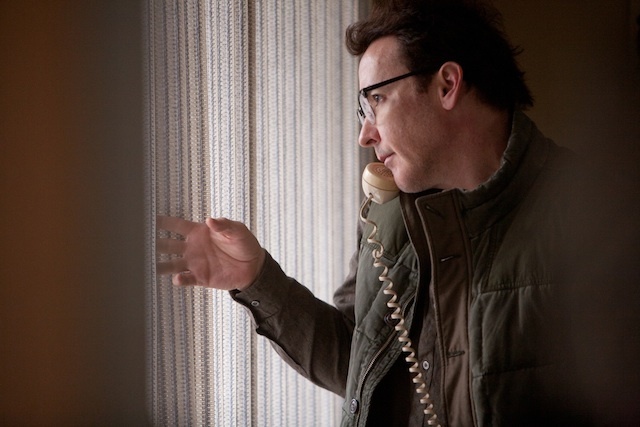 Nicolas Cage and John Cusack have both been pretty much hit or miss for about the last 6 years. Oddly enough, their downfall started around the same time. I have been a huge fan of both actors ever since I can remember. Even though they are both not consistently in great movies any longer, I still give them the benefit of the doubt every time I watch one of their new movies. I guess I just hope that one day they will bounce back from whatever funk they got themselves into and start making great movies again. One can always hope right? 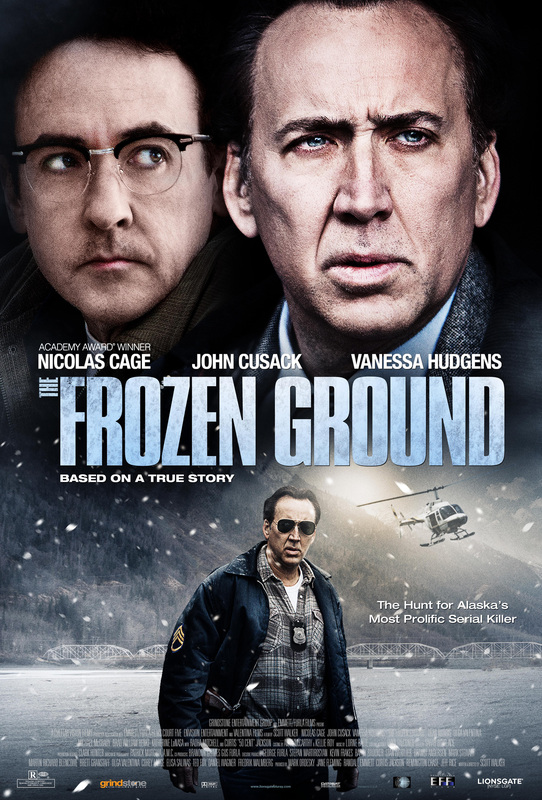 So, that is the attitude that I had before watching The Frozen Ground. I would have been less enthusiastic about wanting to see the movie if it was only Cage or Cusack in it. 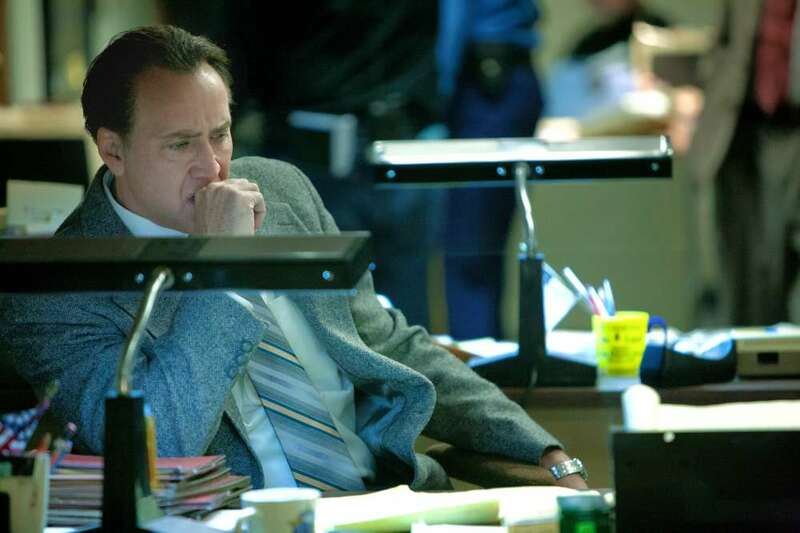 But, it’s not just Cage or Cusack, it’s both. If both of these struggling actors are in the same movie then it is bound to be awesome right? The film is based on actual events that took place in 1983. It’s about an Alaska State trooper who teams up with a woman who was able to get away from a serial killer named Robert Hansen. Together the duo works to find Hansen and bring him to justice for the murders that he has committed. The movie was written and directed by Scott Walker and the rest of the noteworthy cast includes Vanessa Hudgens, Dean Norris, Kevin Dunn, Radha Mitchell, Michael McGrady, Matt Gerald, and 50 Cent. The Frozen Ground has an overall dark tone which is fitting because of the dark subject matter. The movie was missing a lot. It was hard to follow and full of wasted talent. There was hardly any character development, so you couldn’t really feel anything for the characters. It is yet another letdown from Cage and Cusack. The list of bad movies that each actor continues to make just keeps getting longer. 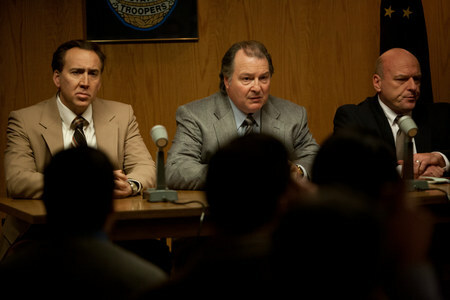 It really felt like both Cage and Cusack were just going through the motions. However, the writing and filmmaking overall, really did nothing to help their cause. Occasionally both actors would show a slight spark that would quickly go out. I think that if they keep making movies like this one, their careers could be doomed. It’s a real shame. The film started out like it could have potential, and then it got boring quickly. The scenes were choppy and the acting and dialogue all felt forced. Don’t waste your time or money with The Frozen Ground. If you would like to try to preserve the memory of when Nicolas Cage and John Cusack both made good movies, don’t watch this one. A lawyer gets himself into a lot of trouble after he starts drug trafficking. This film has an outstanding director: Ridley Scott and an amazing cast: Brad Pitt, Michael Fassbender, Javier Bardem, Cameron Diaz, Penelope Cruz, Dean Norris, John Leguizamo, Goran Visnjic, Bruno Ganz, and Natalie Dormer. The Counselor has my attention. The film is set to release on 10/25/13.